March 3, 2015 – Links International Journal of Socialist Renewal -- With the end of the Cold War and the victory of capitalism, and the seeming defeat of “Marxism-Leninism” in 1991, it appeared we could at last bury Lenin. And certainly, who will mourn for the death of a Lenin encased in granite monuments with his words turned into a dogmatic religion to legitimise the Eastern Bloc regimes? However, there is another Lenin who remains very much alive. This Lenin has been unearthed in recent years with the “Lenin renaissance”. Different scholars and political activists such as Lars Lih, Paul Le Blanc, Slavoj Zizek, Kevin Anderson, to name just a few have explored what remains very much alive in Lenin. While they don't necessarily agree on all their conclusions, all of them have challenged Soviet-era mythology and anti-communist historiography by revealing the Lenin who fused a creative and dynamic Marxist theory to develop a revolutionary political practice to change the world. Now, to this distinguished list, we can add the name of Tamás Krausz with the release of his magnificent book, Lenin Reconstructed. Although Krausz is a long-time Marxist intellectual and academic in Hungary, working in the tradition of Georg Lukacs, this is the first substantial work of his to appear in English. Krausz’s work aims to “reconstruct the history of ideas in Lenin's thought, his sociological and theoretical views” (pp. 10-11). In studying Lenin, Krausz rejects the approach of the infallible Lenin of the Eastern bloc and the anti-Leninism of Western historiography, but approaches him from within Marxist theory and practice. It is only through this conceptual paradigm that Lenin's theoretical and practical successes and failures can be judged. Although Krausz is aware of the recent scholarship on Lenin, which he takes note of, his book is an independent study in its own right. However, this work is not merely an intellectual exercise, but argues that Lenin has relevance for today, since “the stakes are higher than we may think, for the legacy of Lenin's Marxism is not a thing of the past” (p. 357). The book takes up a number of themes and questions found throughout Lenin's work, supplemented with an extensive bibliography and notes (a great deal of it drawn from Eastern European scholarship). The opening chapter of Reconstructing Lenin, “Who Was Lenin?”, is a fairly succinct biography of Lenin's life, personality and political activity. For those new to Lenin, it helps situate the overall context in which he lived and worked. Even for the long-time reader of Lenin, there are some interesting bits of information. For instance, as a child, Lenin enjoyed playing war games with toy soldiers. And even here, foretastes could be found about his future radicalism since during these games, Krausz says, Lenin “took the side of Union forces led by Lincoln against the hated slave owners of the South” (p. 28). As the biography reminds us, the guiding thread throughout Lenin's life remained the revolution. “For him, life was one with the revolution" (p. 68). The second chapter, “Russian Capitalism and Revolution”, discusses Lenin's debates on the nature of the Russian social formation with the liberals, Narodniks and other social democrats. Of interest here is how Lenin utilised the Marxist method to analyse Russia's place in the world economy, its semi-peripheral nature, the role of tsarist autocracy and the uneven development of capitalism that left feudal survivals (although Krausz doesn't explicitly discuss World Systems Theory here, his language reflects those debates). From these analyses, Lenin was able to arrive at the conclusion that the bourgeoisie was too bound up with the autocracy to play a revolutionary role (contrary to Plekhanov and the Mensheviks), that task therefore fell to the working class allied with the poor peasantry who would bring down the autocracy. While the debates of the nature of the Russian Revolution may seem far away from contemporary Marxists, Krausz shows the important role of a living Marxist method for Lenin's practice. In his research, he consciously strove to link specialized scientific terminology and knowledge with the economic and historical theory and method applied by Marx. Lenin left the old, positivist, sociological approach to history and science behind. These were the grounds on which he criticized the parochialism of certain scholars of the age, those with narrow-minded empirical approaches divorced from other sciences and theory, which left the system as a whole out of consideration and raised 'segmentation' and 'singularity' to the status of absolutes (pp. 80-81). The concept of totality as at the core of Marxism, stressed by Lukacs in his History and Class Consciousness, was something that Lenin understood very early in his political career. It is interesting to note that Krausz views Lenin's studies of Russia as also utilising Louis Althusser's notion of overdetermination. This difficult concept means that a contradiction is overdetermined it exists in a complex whole where other contradictions exist and unevenly develop together. In Russia's case this would be the development of modern capitalism and the emergence of the proletariat alongside feudalism and the peasantry. However, as part of the overdetermined nature of a contradiction, the various elements develop unevenly and different ones are dominant at a particular moment. According to Krausz, the result of Lenin's investigation “led him to the discovery of something of great significance, which was summed up in the thesis of Russia and 'the weak link in the chain of imperialism'" (89). What this chapter shows is that, contrary to many Marxists, Lenin took theory and investigation very seriously in developing his revolutionary political practice. The third chapter, “Organization and Revolution”, brings us to Lenin's discussion on the vanguard party and the Bolshevik/Menshevik split, which has been painstakingly discussed in the work of Lars Lih. Krausz argues that Lenin's work on the party needs to be placed in its historical context of the debates within the Russian social-democratic movement. Lenin cannot be blamed that during the Stalinist period [his] work was essentially canonized for the sake of ensuring the leading role of the party and consolidating party discipline. Taken out of historical context, however, its intent and purpose were generally falsified. The debates on this pamphlet continue to this day because every workers' movement runs into it as a "tradition" in its own right (pp. 112-13). a revolutionary party capable of overthrowing the autocracy requires an underground organization built on volunteer activity. This can only be a party of “professional revolutionaries” who are familiar with the rules of conspiracy, the revolutionary consequences of Marxist theory, the history and the “logic” of political and armed struggle, and are aware of the means at the party's disposal. The objective of the party's organization is socialism, but only in the long run. Its immediate political and economic goal is social revolution (p. 113). While Lars Lih's work stresses that Lenin's view of the party was formed to imitate the German Social Democratic Party and that he drew on the work of Karl Kautsky, the logic of his argument pointed beyond it (something I have also argued elsewhere). Not only was this apparent during the split with the Mensheviks, but during the revolution of 1905 when the Social Democrats became a mass party. Unlike the German Social Democrats or the Mensheviks, Lenin conceived of the Russian Party as a party that would lead a class alliance of the workers and peasants to conquer power. And by the mass movement of 1912-4, the differences between the Bolsheviks and Mensheviks had become stark in that the latter had achieved hegemony over the working class. The success of the Bolsheviks can be understood not in the organizational achievements mentioned by Martov, but rather in that the Bolsheviks' aiming to connect the short-term -- and even daily -- demands of the workers with prospects for the “proletarian dictatorship”. Their success rested on their ability to weave together legal “mass work” with underground organization (p.139). The final part of the chapter deals with Lenin's debate with Alexander Bogdanov and his own philosophical work on Materialism and Empiro-Criticism, which Krausz claims did not contribute “anything to the development of Marxist theory and politic” (p. 138). This is in marked contrast to the recent work of John Eric Marot, who has recast the debates on this work and critically reevaluated Lenin's Materialism and Empirio-Criticism. Rather, Krausz locates Lenin's major philosophical breakthrough with his engagement with Hegel and the dialectic during World War I. The question of Hegel and the dialectic and their role in Lenin's theory and practice play a central role in chapter four, “The War and the National Question”. The catastrophe of World War I and the betrayal of the Second International, according to Krausz, caused Lenin to “go back to basics” by turning to Hegel and to clear his mind of the cobwebs of muddled thinking. His rehabilitation of Hegel, however, was part of a redirection away from the Second International toward a course of revolutionary momentum. Lenin's reading of Hegel in line with the new situation moved Marx into a theoretically and politically more dynamic model (pp. 145-6). The importance of Lenin's turn towards Hegel has been highlighted by other Marxist scholars, notably Michael Lowy and Kevin Anderson, and here Krausz is clearly building upon their work. What Krausz stresses, contrary to anti-Hegelian Marxists such as Althusser, it is in the turn to Hegel that revolutionary praxis and the activist nature of Lenin's Marxism is fully developed (taken up later by Lukacs, Karl Korsch and Antonio Gramsci). Contrary to the determinism of fellow revolutionaries such as Rosa Luxemburg, whose work on imperialism counted on the inevitable disintegration of capitalism, Lenin “spoke about the 'overthrow' of capitalism rather than its disintegration, thus emphasizing the active, conscious element in the process" (p. 144). The study of Hegel not only allowed Lenin to revitalise Marxism, but to study the nature of imperialism, nationalism and discover the roots of the degeneration of the Second International in order to prepare himself to navigate the expected revolutionary ruptures that he expected to be unleashed by the war (as turned out to be the case in 1917). Krausz highlights that for Lenin, the “theoretical-methodological questions came to the fore in Lenin's work, some great historical turn was underway. This made him look for the practical steps, mediations, and transitions that would lead toward socialist revolution” (p. 150). The lesson of Lenin's approach to World War I and his break with reformists is something that the contemporary left could do well to learn from. At the outbreak of war, rather than merely jumping into struggle because the situation was so urgent, Lenin took a step back to study theory. He returned to Hegel in order to get a better grasp of the situation so that his strategy and practice was much clearer. Further, Krausz discusses Lenin on the contradictions of imperialism and the revolutionary nature of nationalism in the colonial world and within the Russian Empire. According to Krausz, “Lenin was among the first of the Marxists and social democrats to come to an understanding of the colonial question” (p. 169). This position of Lenin ultimately signalled a break from the Eurocentrism of the Second International and the abstract internationalism of his comrades such as Luxemburg and Bukharin, who viewed all nationalisms as equally reactionary. Lenin, by contrast stressed that Marxists needed to support the nationalism of the oppressed as part of the socialist revolution, but oppose the nationalism of the oppressing imperialist powers. However, as Eric Blanc has emphasised in his provocative essay, “National liberation and Bolshevism re-examined: A view from the borderlands”, the Bolsheviks came late to an understanding of the significance of the national question within the borderlands of the Russian Empire, which hampered the advance of the revolution. The fifth chapter, “The State and Revolution”, deals not only with Lenin's seminal work of the same name, but questions relating to the nature of the modern capitalist state, soviets as organs of revolutionary power and the dictatorship of the proletariat. became the philosophy of the October Revolution. The revolution is presented through its immediate objective (seizing power) and end goal (voluntary partnership of free communities) at once, with political revolution shown as the initial momentum in social revolution (p. 178). However, State and Revolution was not just used by the USSR as the foundational text behind the 1917 Revolution, but also was studied by other anti-capitalist, anti-statist and movements for its libertarian politics. Krausz thus challenges views that claim Lenin's work is based on authoritarian principles. If the perspective of State and Revolution was the guiding spirit of Lenin and the Bolsheviks in 1917, then this flies in the face of anti-communist historiography that posits the revolution as a coup and undemocratic. Krausz is at pains to emphasise that Lenin and the Bolsheviks were not power hungry or planned to monopolise power. Rather, Lenin understood the nature of a revolutionary crisis and his party worked to express the needs and aspirations of the masses. The Bolsheviks were not the only actors in 1917, but were confronted with bourgeois liberals, anarchists, Mensheviks and monarchists, all striving for leadership. Lenin theoretically worked through the difficult problem that a revolution in process cannot be halted as the political class struggle becomes increasingly radical. However, he also knew that its historical momentum unwinds the revolutionary process. That is, even of the Bolsheviks were wedged out, other radical groups would take the lead with different consequences (p. 202). Thus, if the Bolsheviks had not achieved leadership of the revolution, someone else would have, with different results in Russia. The following chapter, “Dictatorship and Democracy in Practice”, deals with multiple questions such as the dissolution of the Constituent Assembly, violence and terror, and anti-Jewish pogroms. Krausz shows how the Constituent Assembly did not represent a bourgeois democratic alternative as argued by some post-Soviet historians. The Constituent Assembly, in fact, lacked a social base in Russian society as it was caught between the White counterrevolution, who were already moving towards civil war, and the Soviet government. In other words, the Bolsheviks underestimated representative democracy on a period when the operation of direct democracy itself came up against practical barriers. However, it must also be noted that Luxemburg's analysis underestimated both the way in which the system of extraordinary measures was inevitably dictated by, and innate to, the emergency situation of the civil war period, as well as the weak democratic tradition in Russia, which was only exacerbated by the instability of the soviet governments and party dictatorship in the face of the unfolding civil war. What the Bolsheviks did light well have been necessary to uphold any form of power (p. 224). The section on terror deals with the “Furies” of violence (to borrow the title of Arno Mayer's work on terror and violence in the French and Russian revolutions) unleashed by the Russian Civil War. Krausz says that Lenin and the Soviet government were not motivated by a pathological or ideological desire for violence. Rather, Russia itself was a fertile ground for violence, which had been primarily exacerbated by World War I and the breakdown of society that the Bolsheviks inherited in 1917. Krausz situates the “Furies” in the context of civil war, which radicalised both left and right, that Lenin sought to minimise. In the period of civil war the Soviet government received no impulse from below -- from its immediate social base and apparatus -- that would impede violence. The organized actions of the monarchist counterrevolution only reinforced the ties of the new regime with the use of force as a tool of survival (p. 235). The Soviet repression directed against the Orthodox Church, the deportation of intellectuals, and trial of the Socialist Revolutionaries is likewise viewed as groups dedicated to the old social order or committed to the destruction of the Bolsheviks. Yet there is another side to the issue of terror, which Krausz discusses in Lenin's relations to the Jews. Jews within the Russian Empire were subjected to pogroms and official discrimination by the tsar. It is no accident that due to the severe persecution that Jews suffered, a number of revolutionary leaders such as Trotsky, came from a Jewish background and during the 1905 Revolution Jews accounted for 53 per cent of political arrests. All Social Democrats, Lenin included, were opposed to anti-Semitic and race hatred. Immediately upon the seizure of power in 1917, Lenin took energetic measures to combat anti-semitism and protect the Jewish population from pogroms. Red Army units that engaged in anti-semitic actions were severely punished. As a result, the Jewish population of Russia rallied to the Soviet government. By contrast, Krausz reminds us, the White armies, who were dedicated to restoring the old regime, whipped up hatred and launched pogroms against the Jews, whom they believed were the force behind Bolshevism. In other words, Bolshevik terror came from the necessities of civil war in order to defend the revolution against an enemy that had shown that it would show no mercy if victorious. The seventh chapter, “World Revolution: Method and Myth”, deals with questions related to the contradictions of running a state and the challenges of promoting world revolution. Due to Lenin's understanding of the uneven development of capitalism, he argued that world revolution developed at different paces and times in differing places. Lenin hoped that the Russian Revolution, which he believed was the weak link in the imperialist chain, would serve to spark a European-wide revolution (particularly in Germany). Lenin's focus on the need for global revolution, dictated his strategy during the first World War to break the revolutionaries away from socialist parties supporting the war, so they could all turn the imperialist war into a civil war as part of a revolutionary offensive. Krausz says that the “idea of world revolution and overestimating the processes of its realization were an organic part of the revolution itself, and without this awareness and belief, the history of the October revolution and the whole European revolutionary wave would be unthinkable” (p. 286). One of them remained devoted to world revolution, and gave precedence to a revolutionary politics of offense, especially where German developments were concerned. The other interpreted and evaluated European processes from the unilateral perspective of Soviet-Russian interests in the arena of international power distributions. While continuing to uphold the “scientifically predictable” international revolution, Lenin discarded all conjecture that was not based on the strict accounting of facts (p. 288). And while Lenin was willing to risk Russian gains to support the German and the Hungarian revolutions, he was also willing to tactically compromise with patriotism in Russia. In the midst of civil war, Lenin saw the need to rally the embattled middle strata of population to the Soviets in the face of foreign intervention. However, Lenin never upheld chauvinism and even in the midst of the Russian civil war, he differentiated between hatred for foreign capitalists and supported solidarity with workers. In other words, the Soviet Republic began to “integrate” into the new world order in the sphere of foreign policy. When Lenin was no longer there toe the line, the call to spread the world revolution was being replaced by an increasing pragmatism of world powers, a bureaucratic combination of revolutionary internationalism and superpower politics. After Lenin's death, Stalin openly proclaimed this on December 1924 with the slogan “Socialism in One Country”, the history of the Polish-Soviet War certainly had an important role in this turn of events (p. 304). The receding possibilities of world revolution were also reflected in Lenin's advice to the parties of the Communist International. As opposed to Bela Kun, Georg Lukacs and other “messianic” leftists who advocated no compromises and continual revolutionary offensives, Lenin argued for adapting to the new period and how to make compromises and conduct patient work among the masses, as outlined in Left-Wing” Communism: an Infantile Disorder. 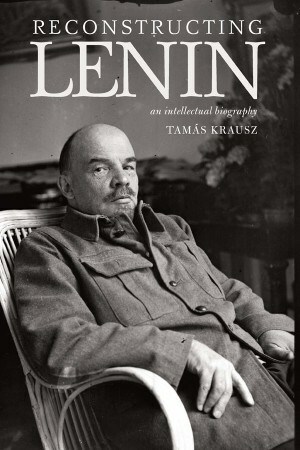 While Krausz argues that Lenin never adequately explained the reasons for the failure of the world revolution, he does praise Lenin's work for recognising and emphasising “a flexible politics suitable to the reigning political situation, that is a politics that appreciates the significance of compromise” (p. 309). The final chapter, “The Theory of Socialism -- Possibility or Utopia?”, deals with Lenin's views on socialism conceptually before the October Revolution, and the challenges he faced after 1917. Lenin saw socialism as developing historically out of advanced capitalist forms of organisation and property, such as finance capital and the Taylor system, which a socialist state would put to use. However, Lenin had hoped to avoid Russia developing socialism alone, positing a long transition period before the country became ripe for socialism. Following the October Revolution, Lenin was concerned to preserve the gains of the Soviets and the power of the Bolshevik Party (the condition upon which Soviet power depended). This contradiction, Krausz emphasises, “strained the tortuous daily battles for survival and the end objectives, increasingly set the discrete problems of the so-called transitional period in the forefront” (p. 316). Some of these problems were that while Lenin planned on nationalisations of the commanding heights and state supervision in the economy or “state capitalism” to confront the crisis, he did not plan on the elimination of the market or capitalism. However, breakdown of production and distribution continued throughout 1918 as the White forces geared up for civil war. The need to feed the cities threatened the very base of Soviet power. In an emergency situation, the Bolsheviks nationalised large swaths of the economy and began grain requisitions to feed the cities and the army. This situation did not bode well for the type of revolutionary state that Lenin envisioned in State and Revolution, but necessitated the concentration and centralisation of power in hands of the state and the party. This system, known as War Communism, was a desperate measure to save the embattled Soviet Republic. Lenin, Krausz says, did not go as far as some of the Bolsheviks, who believed that War Communism was the first stage of socialism. Just as Lenin did not believe War Communism was the application of Marxist theory, the same could be said of the New Economic Policy (NEP) adopted in 1921, which restored a free market. Both were implemented “under the pressure of concrete circumstances, requirements and needs – without foreseeing its internal or international effects” (p. 325). Lenin hoped to provide a breathing space for the devastated and exhausted Russia to rebuild from the civil war. Although the NEP restored production, it also spawned a bourgeoisie, inequality and abuses from the bureaucracy. Yet Krausz says the NEP was ultimately incompatible with Lenin's dream of the development of a commune-state, even though the proletariat that was expected to exercise power in Russia had been largely de-classsed by the civil war. This led Lenin to develop various mechanisms to check the power of the state apparatus and to involve the masses (such as defending the independence of the trade unions). Lenin also believed that all the restrictions on factions and dissent were justified to preserve the revolution and that the state needed to support all sectors aimed toward socialism because capital was not going to do it. Lenin's long-term goal following the transitional phase of the NEP was a “regime of direct democracy of the workers” (p. 334). Krausz tells us that Lenin understood that given the situation, Russia had to build the political and cultural preconditions for socialism, even in isolation. After all, giving up was unacceptable to him. Interestingly, Krausz traces three conceptions for socialism that developed out of Lenin's ideas for the transitional period of the NEP, which he identifies as the market socialists, the state socialists and the self-governors. While all these possibilities for socialism were present within Lenin, he also argued that what was important for the development of socialism during the NEP was the survival of socialism as a sector of the economy. Lenin emphasised the importance of developing cooperatives, that only allowed forms of direct democracy, but they would voluntarily incorporate the peasantry, along with the mediation of the state. This was the lynchpin to building socialism in Russia. The centrality of cooperatives to Soviet socialism would be a theme championed by Nikolai Bukharin following Lenin's death. Contrary to those historians and ideologues who view socialism as a utopian dream and that all Russia did was build a new ruling class, Krausz says that Lenin's “legacy … is particularly persuasive about how history can never be taken as absolute evidence. Perhaps socialism never seemed more of a 'utopia' than today, and yet there is still no other historically and theoretically grounded alternative to the established world order than socialism” (p. 352). Lenin was an independent thinker, but he did not create an independent theoretical system, an ism within Marxism, although many modern thinkers systematizing Lenin speak of Leninism. What he did was rediscover, reenergize, and deepen elements of the Marxist tradition that mainstream European social democracy was intent on burying (p. 360). Yet Krausz claims that despite the collapse of the Eastern bloc and the reservations many hold towards Lenin, he remains very much alive and topical. After all, the “Leninist tradition of Marxism is the only one that has offered, at least for a time, an alternative to capitalism. It alone has breached the walls of capitalism, even if today that breach seems mended” (p. 356). Thus as long as capitalism endures, Lenin's efforts to combine Marxist theory with revolutionary practice are far from exhausted. Tamas Krausz's Reconstructing Lenin is not only a rich work of radical scholarship, but in taking the life and thought of Lenin seriously and arguing for Lenin's continued relevance, he has done us all a great service.